Metro: Lots of them! 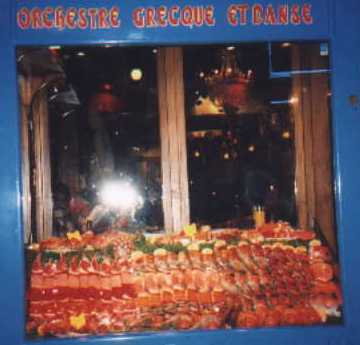 St. Michel/Notre Dame, Sorbonne, Odeon, St. Germain des Pres . 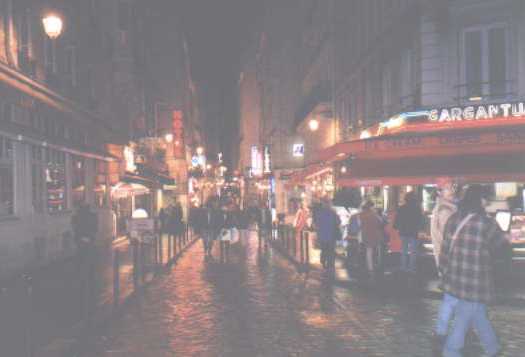 . .
For my taste, this is the most lively area in Paris in the evening. My wife and I ended up here virtually every night we were in Paris. You should just walk up and down the streets. There are tons of different types of restaurants. I have eaten at a couple of Chinese ones that were very good. 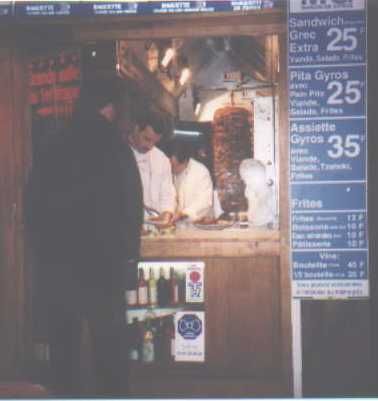 If you are fond of the Greek mystery meat, you should check out the Greek restaurants. One night when I was here, a band was playing some great Dire Straits music down in the St. Michel/Notre Dame subway station. This are has many Churches to see: St. Julian le Pauvre, St. Severin, S. Sulpice, St. Germain des Pres. I believe you can catch some classical music concerts at St. Julian le Pauvre. 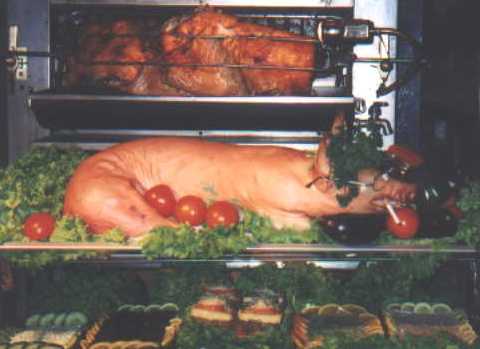 For some reason, I don't think that this pig died from smoking those cigarettes! If you like the Greek food, there are lots of places to choose from! I'm getting hungry just looking!